Having a great idea for a research project and credentials to match is not enough to get funded. 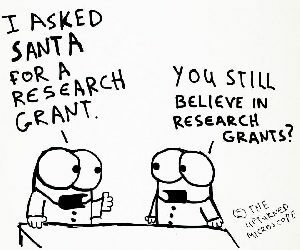 The grant proposal has to sell your idea. So how do you turn all those great elements in your plan into a gripping story? How do you convince the reviewers of your personal qualities? With my ample experience in science and science communication, I can help scientists improve their proposals. Not by crossing your t’s and dotting your i’s, but by checking the structure of the narrative. I’ve done this for some five years now, and have edited dozens of grant proposals. Do you need help? Feel free to contact me. Fast service, clear directions and competitive rates.